I’m glad you are still updating this. I bought my current laptop for a $300 steal in 2012, and it’s still powering through games on low settings. Looking for a desktop upgrade considering my laptop is my desktop at this point. Any recommendations/modifications to this list for music production? Besides maybe a sound card if you planned on using different types of audio inputs but other than that music production would still work great with a build like this. If you’d want more overall performance then I’d say to go up more on the CPU side but you can always do that down the road as well. Either today or tomorrow I’ll be updating all of the builds and some parts might change depending on pricing etc, stay tuned! Sure thing man, the Cooler Master HAF 912 case isn’t a bad choice at all! Lower price point but you get a lot of value out of it. Otherwise you could go through the other mid tower cases listed in what I linked you to, let me know which one you decide to go with and I can let you know if it’s compatible! Hey Colton, great post bud. I was just wondering if doing voiceover work using voice software would be doable on a gaming pc, without using a capture card or camera editing (no visuals just audio)? Actual VoiceOver work, not game commentary. This would be on the $600 build. Or would a more expensive workstation/gaming pc be more appropriate to do both? What type of mic would you be using? What type of input would it require? Nice man, yeah that card will fit just fine. Perfect card to stat out with, you’ll be able to run GTA V on a tweaked high setting to maintain high frame rates. Let me know if you need anything else as you are moving forward with your build! Thanks for the reply man. Do you think the fractal design nano-s itx case is ok to use? I just like the way it looks. Do I need to look for any specific requirements when looking for pc cases for this build? Are you looking at this exact case then? If so then no, that case is built for a different type of motherboard. There are some smaller cases that would be compatible. You have to look at the dimensions of the case and the compatibility for the board to know if a case is going to work. You can link me to any case you’re looking into and I can let you know if it’d work or not? Let me know! Hey, I commented about a month ago asking if this was a good starting point for a build or if I should start with a little higher budget of a build. I plan on buying the majority of the parts in two weeks during cyber Monday. As a reminder I have a steady flow of 80-100 dollars a week that I am putting away for the PC. I want to be able to play games, multitask, and do some video editing in adobe premiere pro. Examples of games: basically everything, I mainly play rocket league but that inst very graphically intensive, I would like to be able to play at 144 frames because the monitors Im buying will have a 144 Hz refresh rate but if I cant do that right away I don’t mind too much. I would also like to play fps games and games like PUBG. Im a filmmaker and plan on also using the PC to edit and render short films as well as do some after effects work. Knowing all of this, do you think I should be looking at a higher budget of a build? You might want to consider going a bit higher up with the next Ryzen CPU since you’re also wanting to get some rendering work done. It’d be worth it in the long haul. If you need help with the specifics as far as the hardware goes let me know and I’ll be able to help you get the right parts. Stay tuned for some posts I’ll be writing on the upcoming sales during Cyber Monday, I’ll be on the look out! I am wondering if this is still the best build to do on 10th November. I’m willing to do my first ever build. I checked alot of places to see some build and this one definitely caught my eyes because of its constant updates! I wonder if its gonna cost more than 800$ including the monitor + windows + usb wireless adapter? Anyways, how much can you get on PUBG? ( I have to admit that i need to build my own pc because of this game ) And whats the best keyboard can you get below 100$ ? I’m happy for your reply. I’ll be doing another update to the builds in the next couple of days so stay tuned for that. Some parts might change, or maybe not. Depends on the market. PUBG is an interesting title as far as optimization goes, at a tweaked med/high setting you’ll be able to pull over 40ish FPS for the most part. Depends on what’s going on in-game. Adding everything together it will be a bit more than $600 depending on what you’re going with. As far as a keyboard, I dig the one that comes in the above combo. 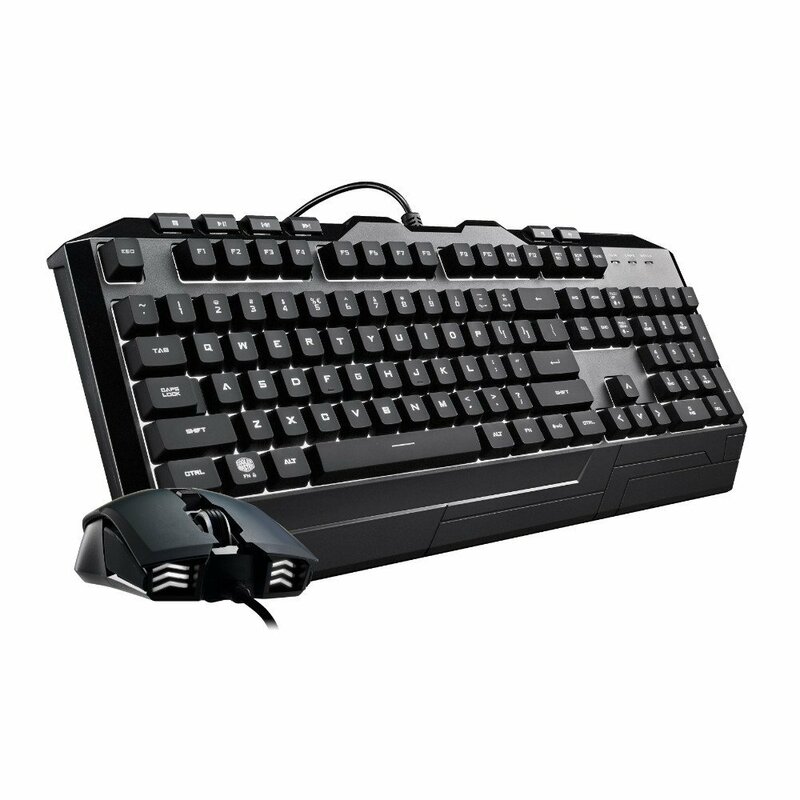 Otherwise I could also recommend something like this one from Corsair – a buddy of mine has it and it’s awesome! Today is the day i made a progress on building my first rig. It looks like you changed the graphic card to 3GB version somehow, or maybe i’m just mistaken. Since PUBG is getting its first official launch, what do you think on how much fps i can get from it? ( And you haven’t told me on what preset you used when getting 40FPS-ish. And i’ll definitely getting the keyboard that you recommended! Awesome! I could have had the 6GB version in the past, honestly can’t quite remember. The pricing of parts has changed quite a bit, it’s hard to keep up! I mentioned in the comment that at a tweaked high/med setting you’ll be able to pull off 40 FPS on average, but it’ll depend on what’s going on. PUBG is pretty unoptimized. Excited to start building this once all the components arrive. I am wondering if the Corsair Carbide Series SPEC-01 Mid Tower Gaming Case and/or the Corsair Carbide SPEC-04 Mid-Tower Gaming Case will also work for this $600 build. Is there a list of cases that work for the $600 build? Both of those cases would be good picks and really most mid tower cases will work with this build. Keep in mind that the SPEC-o4 doesn’t have a slot for a CD drive. I’d suggest taking a look at the different mid tower cases on Amazon and if you find one that you think you’d like to use you can link it to me in a new comment and I could let you know if it’d work or not? is the cd drive worth it if the pc is for almost only gaming? 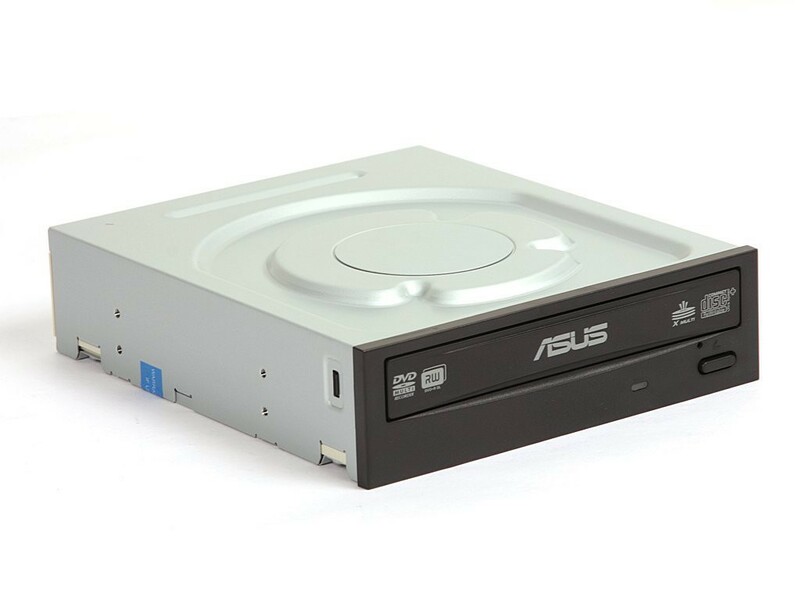 Up to you, if you know what you’re doing when it comes to installing your operating system via USB and getting all of the right drivers online then you won’t be needing the CD drive. I am checking out the build on pc part picker and it does not have the ram and the cooler listed on the site, is everything compatible? I am just nervous for a first build. Also, is this Oculus Rift and HTC Vive compatible? does this case work with the build? It’ll fit all of the hardware inside but you should know that there isn’t a slot for a CD drive with that case. If you know what you’re doing when it comes to installing your drivers online and getting your OS installed via USB then you’d be good to go. If not and you still want to use that case then you could also use an external CD drive temporarily to get the job done, up to you! Everything listed here is completely compatible and you’d be able to get an entry-level experience with this build. The processor is lacking a bit of power in that regard, though an upgrade down the road would fix that and there is plenty of upgrade potential here. Always here for whatever else! What do you think about replacing the video card with a EVGA GeForce GTX 1060 gaming mini 6GB? So you’re looking at this exact video card then, right? I suppose it’s not a bad idea but there are other cards with similar performance for cheaper. For 3 more GB of VRAM you’ll see a bit of a boost in performance but nothing super significant. Will this be able to run Nier automata and overwatch? For sure! Although those titles have entirely different optimizations going on, these specs still add up to be able to run them. I’m new to pc gaming and I was wondering if this would be a good build to start out with. Would it be able to run modern games such as dos 2 warframe or paragon, and if I had to would I be able to replace the gpu with a 1050ti? This would be an excellent starting point. Plenty of room for upgrading and the performance will handle the types of games that you’re looking to run! You could switch the GPU over to that if you wanted to, it’ll look more like the $500 build by doing that. Always here for whatever else while you move forward with the build! Can this build run most AAA titles such as DOOM,StarWars Battefront 2, at high/medium settings while keeping a good fps? You’re spot on, I’d expect a nice FPS rate with a tweaked high/med setting for games like those. More so on a tweaked high setting for titles that are well optimized. Hello, I have never built a computer before and I’m quite scared I might break it if I try. Could you tell me the likelihood of this happening with your build? Or any kind of pitfalls you’ve encountered while building this/other PC’s? My cousin claims he knows how to do this so I might have him help but I really wish I knew someone better. Any info you can give me in specific might really put my mind at ease! Honestly Alyssa with my first build ever I had no idea what I was doing and just followed the above video. I’d suggest going through it before and step by step during the process of putting the build together. That’ll help out ten fold. What I’m saying is that usually it is something small even if something were to come up but if you take your time and go through the video guide while putting the build together then you shouldn’t really run into any issues. I’m always here to answer any questions you have as you move forward with your build, let me know when you decide to go all in! I have bought all the part and followed the video you showed but when I tried to do the check everything before putting it in the case it wouldn’t turn on. I have no idea what is wrong. Can you help? So should I get a new motherboard or new processor? Neither, the board is definitely compatible with Ryzen 3. Something else is wrong, the problem does not stem from your motherboard or processor, there are other things you can do to troubleshoot. No, Ryzen 3 is compatible with the above board for sure. Refer to my last comment for troubleshooting. Many times people forget to have the cable for the CPU power plugged in or the cable that stems straight from the CPU. Are those in check? Also do you have the power switch in the correct prong? 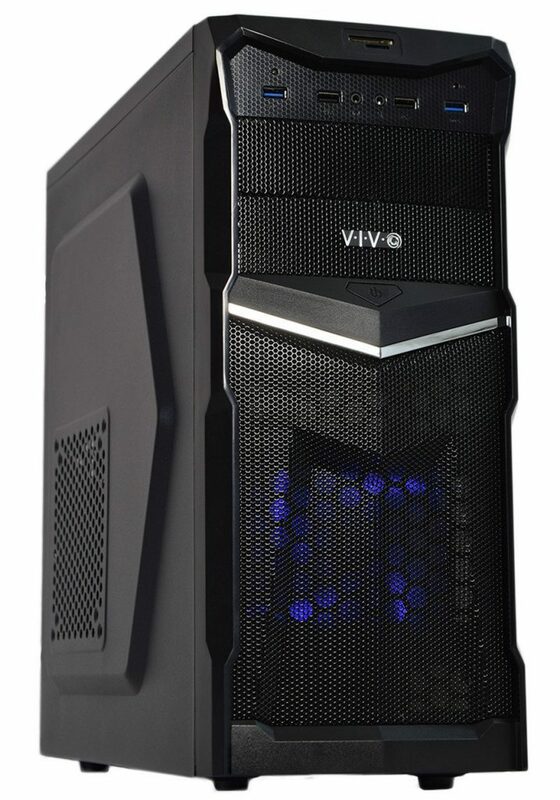 does the vo2 version of the case work with the build? Yup, the other version listed on the case would also work! Yup, the cooling you’d need is there. Hi Colton P, are the PC builds you recommend good for streaming and gaming at the same time? 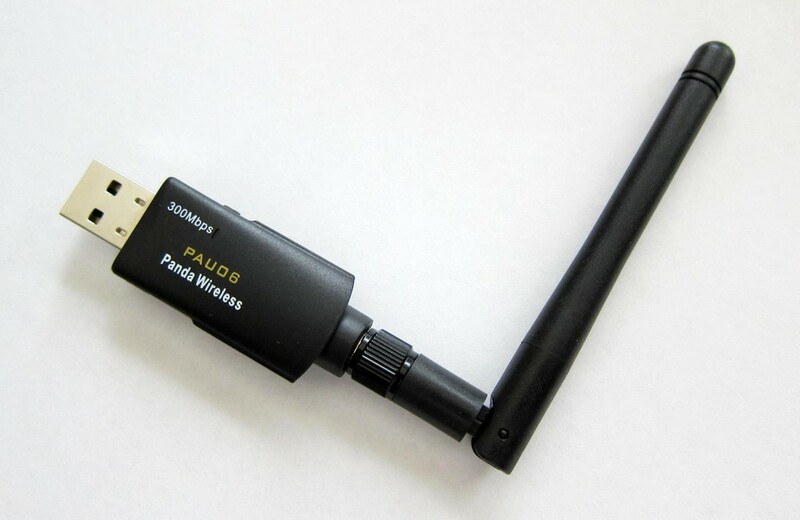 Sure, streaming more so comes down to how strong your internet connection is so I’d make sure you have a direct connection via ethernet if you planned on streaming. As far as video rendering and creating content, you’d be better off going with higher powered CPUs and what not! Always here if you need help as you move forward with your build. Which Intel processor do you recommend for this build? 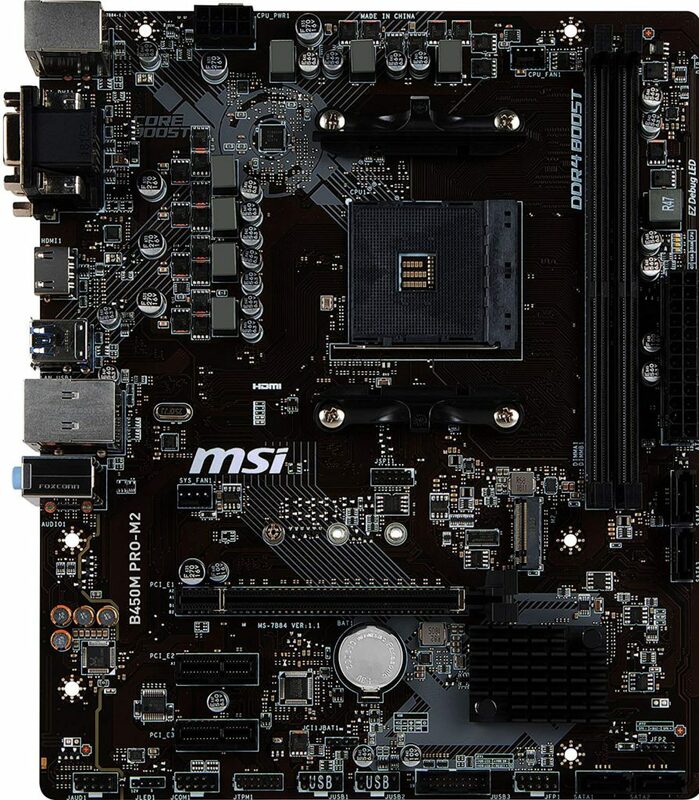 To stay within a similar price range I’d recommend going with the i3-7100 with this motherboard from MSI or you could also go with the i5-7500 with that same motherboard I linked you! It’d be compatible with everything else listed above. Hopefully I got back in time for you! Currently out of town with family hence not being as active as usual. It should, though I’d recommend a different SSD since you can get more bang for your buck. I’d recommend any of these from SanDisk instead! I was thinking of upgrading my storage by just getting another tb hard drive. It’s mostly games and videos that go onto it. 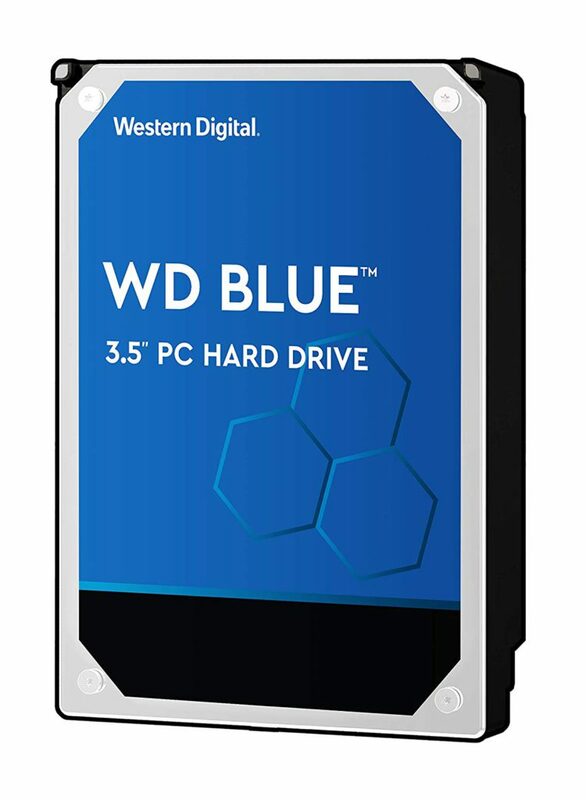 would it make sense to get another hard drive or an ssd? I dont really know the benefits of an ssd honestly. Also do ram cards need to be the same to get the most out of them because i wanted to upgrade to 16 gb but cant find the one im using now. Depends, you could add a SSD and use the current hard drive as your etc storage. A SSD helps a ton with loading times and boot times from the PC, this post will show you the main differences. If load times don’t mean much to you then you could simply add another 1TB hard drive and that will be plenty of room, cheaper too. And yes, you need to make sure you are using the exact same model of stick. Which one are you using? Would you have a budget friendly ssd that you would suggest. i decided I’ll get one for now and just upgrade another TB later on down the road. And the ram stick I’m using is the one you have up on ur site now. i think you changed it for the build a little while ago and i couldn’t find it anywhere but i’m set on that now thanks! I’d recommend any of these from SanDisk since they’re available for a decent price right now. Let me know what you decide to go with! I was wondering about what your opinion is on how this PC build would run a game like Monster Hunter World, even though we don’t have the min. comp specs for the game yet (as far as I’m aware). I’m looking to build a PC specifically with the goal to run that game as smoothly as possible without completely destroying my wallet. It should be able to run fine man, I’d expect a tweaked high/med setting with FPS rates being 30-40ish on average but like you said, there’s no way of knowing really without the min specs being out. Which card did you use? Can you link me to the card? Recently updated above list, might be a different card. Let me know! Did you not get the right cables or any cables at all with it? How do you know? It should definitely come with the necessary cables. Anyway, thanks for the heads up if so! Unfortuneately you’re going to have a hard time finding one cheaper than roughly ~$260 like the one that is listed above. Hopefully that’s a decent enough price range for you, let me know! i’ll let you know if i have any problems when i get all the parts. I did this build back in late December and it went all dandy. Can’t imagine the price now. I had a few questions about the $600 build.. So would this build be able to run most popular games at 1080p whilst maintaining decent frame rate and graphics? Say maybe like on medium at least? Also for the case would a VO2 model fit everything just fine? I noticed that as of right now the VO1 and VO2 VIVO models are the same price but I happen to find the VO2 more appealing. If it doesn’t fit together no matter I will just use VO1 but just a thought. For the most part, yes! It’ll more so depend on the optimization of the game that you plan to play, this build is ideal for 1080p. I wouldn’t expect max settings and 60+ FPS all the time but at a tweaked med/high on higher demanding titles you should be able to maintain a solid frame rate. Also the VO2 version of the case would also work fine, let me know what you decide to do! I was wondering if this PC would be able to handle games such as Overwatch at higher FPS rates on high video settings? 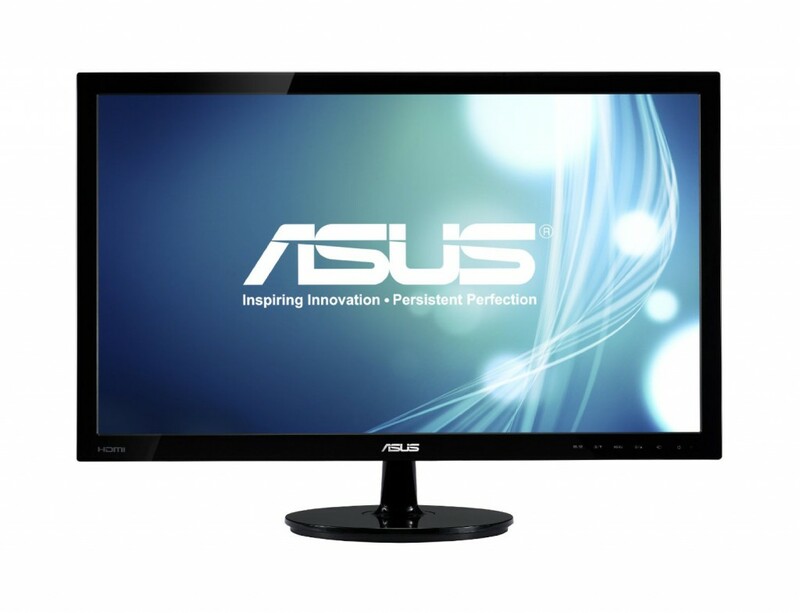 At 1080p you’d have a solid FPS at high with specs like these for sure! Overwatch is very well optimized so it’d be smooth gameplay overall. Hey there, nice build for this price range. There is a lot of upgrade room. Buying another 8GB stick of ram, the MB supports up to ryzen 7 which will be relevant at least until 2022. My question really is the PSU. Down the line when (if) GPU’s start to drop and I try to add a 1070 to the board, will the PSU be able to support it? Glad that you dig the build! 500W would be right at the bare minimum Bob. I’d say to go up to 600W to be on the safe side, especially if you were to ever consider overclocking. Also keep in mind that you’ll want a CPU that can keep up with a more powerful card such as the 1070. Yeah it’s a nice concise build. Check mine out, it’s a combination of a few of your builds with the mind to go low on the gpu and ram for the time being, but have plenty of room to upgrade later. That’s not really going “low” on RAM, you’re paying a very high price for it compared to using other RAM that’d be ~$30 cheaper. Unless you’re wanting that specific RAM then go for it! Otherwise that’d be solid, especially with upgrades down the road in mind. So the build is a bit over 600 what will the total be to get a good graphics card and Windows 10? Also, which graphics card would you recoment? I play games like Skyrim, BF, GTA, etc. I am looking into the SkyTech Archangel GTX 1050 ti but I wanted to look into building my own for cheaper price better quality. The $600 build looks to be the same price and far better quality but I don’t want to drop another $200 on top of that if I don’t have to. It’s a bit over $600 because of the current market, PC hardware is extremely overpriced right now and there aren’t many signs of it letting up in the near future. There is talk of new GPU hardware being developed to help out with the cryptocurrency mining that’s going on but other than that, RAM will still be a bit more expensive than usual as well. It actually almost makes more sense to go with a pre-built PC today if the hardware lines up. After adding in Windows 10 and a better graphics card, you’ll be over the $750 mark for sure. Let me know what you decide to do or if you have more questions, I could take a look into the Archangel as well. You’d have to use a different motherboard or upgrade the BIOS before using that CPU. Would you recommend doing this build, or buying the archangel for a first PC? How do they compare? Compared to the Skytech Archangel – this build is using the same video card but is also using a much better CPU. You’d have better overall performance with this build and it has a lot more upgrade potential on the CPU side. The CPU used with the Archangel is a CPU that came out in 2012 whereas the Ryzen CPUs came out last year. Since the 1200 is the start of the Ryzen CPUs, it has more variety on an upgrade path down the road. Thank you for continually updating this site! My son and I successfully completed the build this weekend – our first computer build. We followed your recommendations from start to finish. It was great fun! It’s my pleasure man, I’m glad that you had a good experience putting it together with him! Happy gaming! First of all, I built one of your pc’s a while ago and it is awesome! I was planning on doing some streaming, but I dont think my current pc is able to handle it. How do you think more ram would do. What are your suggestions? Also, if I were to get ram, could I just plug in any stick next to my current one? How does that work? Your specs aren’t too bad, I wouldn’t expect to be running higher demanding titles on the higher settings while recording/streaming. You’ll have to lower settings a bit to get better overall performance. When you add more RAM take a look at the motherboard’s manual, it’ll show you the optimal slots to use for each stick. If you don’t have your manual anymore maybe try looking online, otherwise I’d simply go for spacing it out. Meaning that I wouldn’t put the RAM right next to the one you have, go one space over. If there’s only two slots then obviously that’s what will be used! Let me know what you decide to do and if I can help more man! Thanks for the response, do I have to get the same exact stick of ram for it to work? If I wanted to improve performance while streaming, is adding more ram my best option? If not, what is? I’d really recommend doing so. You could also get RAM that has the same exact specs in terms of type/speed but mix matching the RAM isn’t ideal. Having more RAM will definitely help out with streaming. If you want the games to look/perform better while on stream then the next step would be a better GPU and then a higher level of CPU but not entirely essential until you’re wanting everything to look better while streaming/recording. I did a Test stream with obs last night with R6, and it did not go too well. I was really struggling in game and so I tried lowering my graphics settings. That didn’t seem to matter, so I pulled out task manager and my CPU was at 100% 😬. My ram was only at 75% with all the stuff for streaming open. Any tips for lowering CPU usage of games? Honestly from what I’ve read up on, your CPU usage isn’t going to deter you from having the stream running correctly. You might be using the wrong encoder? I have no experience in streaming so I don’t know the absolute answer but spec wise, you should definitely be able to stream. I’ve also read up that having a little bit higher bitrate will provide a smoother experience in games that have a lot going on such as Siege. You also want to make sure that your internet connection is very solid, are you connected directly with an Ethernet cable? Your ISP provides good internet? I also had my obs settings fairly low. I was streaming at 1280×720, 30 fps, with 1500 video bitrate. It’s actually not a bad foundation at all for the price! The only downfall is that you aren’t going to be able to upgrade to the newest generations of processors without getting a new motherboard and RAM down the road. With that though, that i7 isn’t too bad. I’d stick with the GTX 960. In comparison to the 280 it’s very similar. Unless you’re wanting that extra GB of VRAM, I’d say maybe compare the two cards in performance with your most played games and see which one you like using more. For sure it could Jacob, these specs far surpass what is recommend with Fortnite. Hey Colton I was wondering if the Apevia X-MIRAGEDX-GN Mid Tower is as nice as it looks? I enjoy the clean look of it and the clear sides, but if it can’t hold all of the hardware here for this PC I won’t be able to justify purchasing it. It would fit everything above from looking at the overall dimensions, but there are a couple of reviews that are stating that it’s poorly made… Unfortunately, I personally wouldn’t recommend going for it. Was there another case that you had your eyes on maybe? Let me know! I used your parts list for the most part but dropped the graphics card and went with the Ryzen5 2400g and 16 gb of ram. But when it arrived I found out that the motherboard didn’t support generation 2 Ryzen without a BIOS update. So now I’m between a rock and a hard place because I can’t update without the CPU but the board won’t accept the CPU until it’s updated. I’m just trying to decide now whether to get the “loaner” CPU from AMD or just get another board. Odd, I thought the newer batch of these boards being sent out would have the update pre-installed. You should be able to get the update via download on their official site then you could use a USB with it to update the BIOS before you’re able to install the OS. Are you able to at least get into BIOS? Did a CD come with the board? Sometimes the update is with a CD that comes with the board. Otherwise a loaner CPU would work just fine, many people update it that way. Can I upgrade the RAM to 16 GB and the video card to EVGA GeForce GTX 1060 GAMING 6GB, or do I need a new case such as the $800 PC build computer guys you have. Is this video card the exact video card that you’re referring to? If so then yes, those changes would work out just fine and you’d still be able to use the above case if you wanted to. As for the RAM, make sure you get two sticks that are the same model or go with a 16GB kit like this one from Crucial Ballistix that way it’s as optimal as possible. Don’t want to mix and match different types of RAM sticks together. Can i replace the Crucial 8 GB Single DDR4 for a Crucial 16GB Single DDR4 with the same casing? Yes! If you wanted to go with a single 16GB stick then that’d work, as long as it’s DDR4 for sure. I can’t find what type of RAM I have on my old computer, but I have found that it is 8 gigs (“Installed Physical Memory (RAM): 8.00 GB” in System Information). Do you think if I completely wiped the RAM in my current computer that I could use it in this one? And by type I mean I don’t know what the actual memory card is. There are a few different ways of obtaining it, if you were to buy Windows directly from an Amazon warehouse then you’d be able to get a refund or replacement pretty easily. That and Windows support is also pretty good about making sure you have the right key and what not. Then if you wanted the full version of Windows you could find a reputable seller on a website such as Kinguin to obtain it, though make sure that you’re being safe about it. If you buy from the wrong seller you could get scammed which is why I don’t really share it too much but it’s still doable! Where do you plug the 2 pre-installed fans on the Vivo 2 on the motherboard? And what adapter do you recommend for the GTX 1050 Ti? There should be a couple of fan slots on the motherboard probably laballed SYS_FAN or FAN_1 etc. What do you mean for an adapter? You shouldn’t need any adapter for the video card. Hey Colton. All I need are the parts listed on this website and windows 10 to get it all started right? Yup! 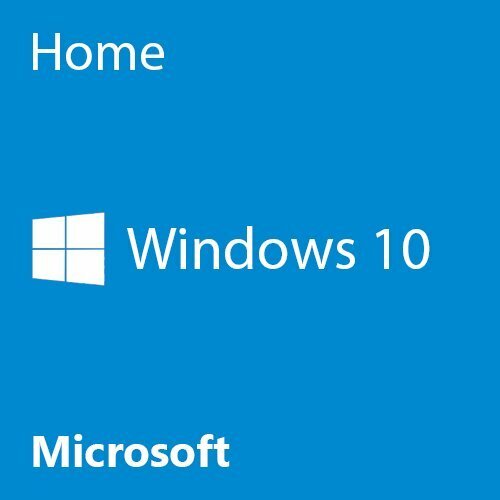 You can get Windows either through the link if you plan on using a CD drive or you can get a copy directly from Microsoft’s official site and create a boot device with a USB. I’m interested in building the $600 build, but I have a question. It is possible to add a 120GB SSD? This will be my first gaming PC. Yes – you definitely can! I’d recommend any of these from SanDisk since they’re available for a pretty decent price and they’ve always made high quality SSDs. Always here for whatever else as you’re moving forward with your build! price of $602.28 was with or without tax and also Canadian or American dollars? Also if that was including monitor, keyboard, and mouse? The final price estimate is at the time of writing and it’s for the hardware only. It’s in USD and that does not include with tax or peripherals. I see it as if it’s the build someone is looking for then a keyboard, mouse etc isn’t part of the actual build itself. Yes! You’d be good to go using that case, no issues with everything else listed above. This is kind of confusing, so bare with me. I don’t need a CD Drive because I already have one, so that takes 20 bucks off my budget. I found that several sales for GeForce 580s on amazon, but I’ll mainly focus on two. The first one is this (https://www.amazon.com/EVGA-GeForce-Mini-HDMI-Graphics-03G-P3-1584-AR/dp/B004YJVUBG/ref=cm_cr_arp_d_product_top?ie=UTF8) which, as you can see, is 202 dollars. It has 36 reviews, most 5 stars, and it’s an AR, meaning it has the typical limited lifetime warranty EVGA gives. 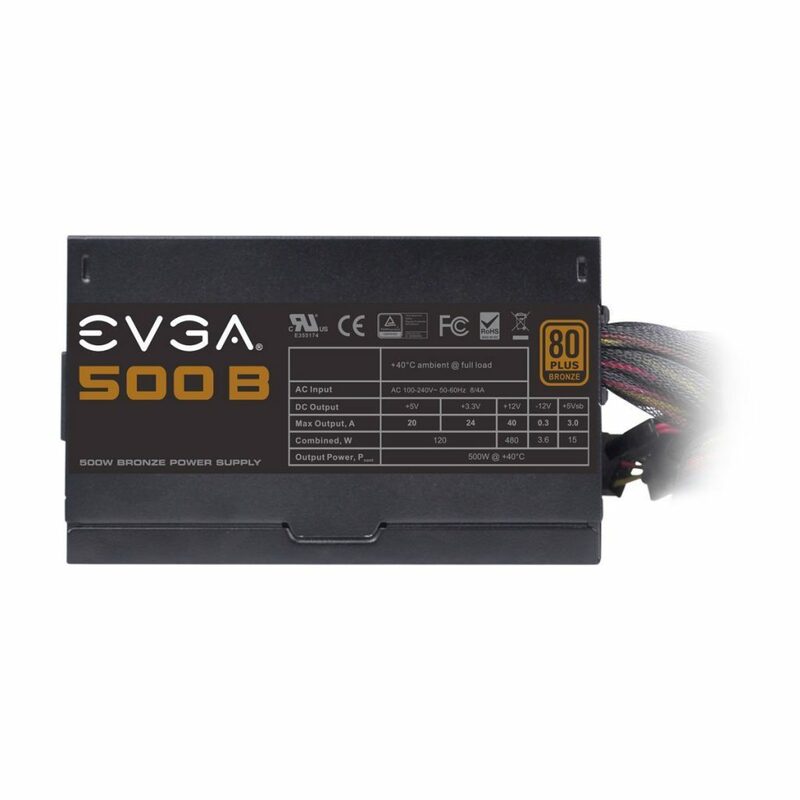 The second one is also sold by EVGA, and it’s this one (https://www.amazon.com/EVGA-GeForce-Express-Graphics-015-P3-1580-TR/dp/B004BA117G/ref=sr_1_4?s=electronics&ie=UTF8&qid=1536342652&sr=1-4&keywords=GeForce+580). This one only costs 80 dollars, but it has only a few reviews, 2 of them saying it was worthless/deteriorated, and another saying he got a completely different card. It’s also a TR, meaning it has a two-year warranty. My three big questions are: Since they are both being sold USED, will the warranty apply to me, since for it to work for you, you need to buy it new? If it won’t should I get the 200 dollar one, which seems in general to have a better chance of arrive unbroken, or the 80 dollar one, which seems less reliable, but will only cost me 80 dollars if it arrives broken, as opposed to 200? Lastly, if I do end up getting either one, will the setup you proposed keep it in power and cool? I saw a review on the 80 dollar one saying it needed 650 watts, and a review on the 200 dollar one says it can get pretty hot, so a good cooler is required. Sorry for the long post, and thanks in advance! The question I have for you is why you want the 580 in the first place? There are plenty of current generation cards that cost the same if not less and have a lot better performance with everything. Handling games better, better temperature control, warranties included etc. 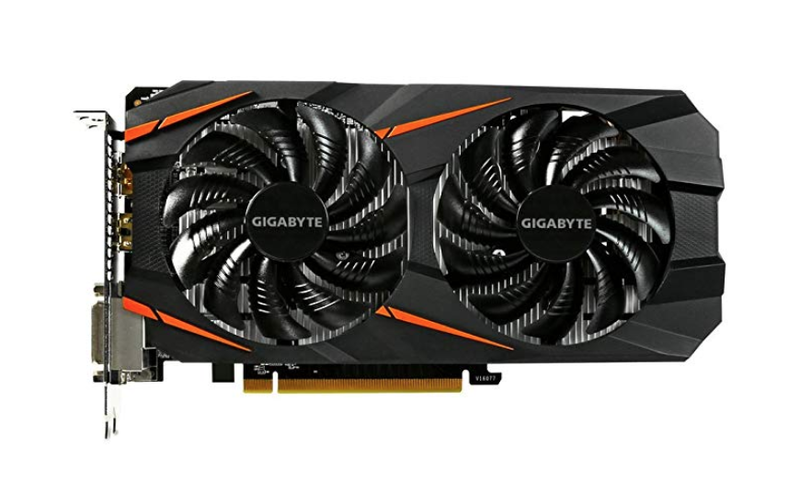 GTX 580s came out around 2010… So there’s really no point in getting a GTX 580 when there are plenty of cards, like the one listed above, that do a much better job for a lesser price. Unless you’re looking for an extremely low budget card, but it’d also help to know what types of games you’re planning on running. Right now, this GTX 1050 Ti sold by EVGA is under $200 and is the current generation meaning that you’ll get the best tech available today with a card of that type. Let me know what you think and for sure let me know what types of games it is that you’re trying to run! I must’ve misread something in your post then lol. Disregard my original question, but now I have a new one. Why do you think SteamOS is eventually going to be the best system for gaming? Is it just because it’s specifically made for gaming, or do you have a specific thing about SteamOS in mind that makes it better than the rest for gaming? Ahh I remember your comment now. I thought you were referring to nVidia’s GTX 580. I’m referring to AMD’s RX 570/580. You can refer to my other reply as to why SteamOS will eventually become the better OS. At least I hope it does down the road! Right, but the pricing still doesn’t add up quite yet for the RX 570/580 at this budget range. If you are going to be getting something higher up than the 1050 then I’d start by looking at a GTX 1050 Ti such as this one from MSI – it’d be worth the extra bit! SteamOS has come a long way and it’s getting better each month. I expect it to be better for a few reasons. For sure because it’s centered around Steam and what not, that’s a given. But it’s based on Linux which, in my opinion, gives more options as an operating system. It’s also 100% free which is very nice compared to the extra Windows cost. Once Linux can get to the point of compatibility that Windows has then I’ll be recommending it over Windows for sure. With that though, I’d still suggest getting Windows 10 on your rig. It’s the most compatible OS right now for gaming. For sure! These specs surpass the minimum requirements of all titles with Battle.net games. For a newer game such as Black Ops 4 you’ll want to tweak settings around med/high for a 40-60 FPS range depending on the settings. That’s with the 1050 Ti. Hi there. Thanks for helping some of us who are new to this. Few questions for you. 1. Would this case work for this setup you have listed. -Raidmax Case ATX-A06WBO. 2. 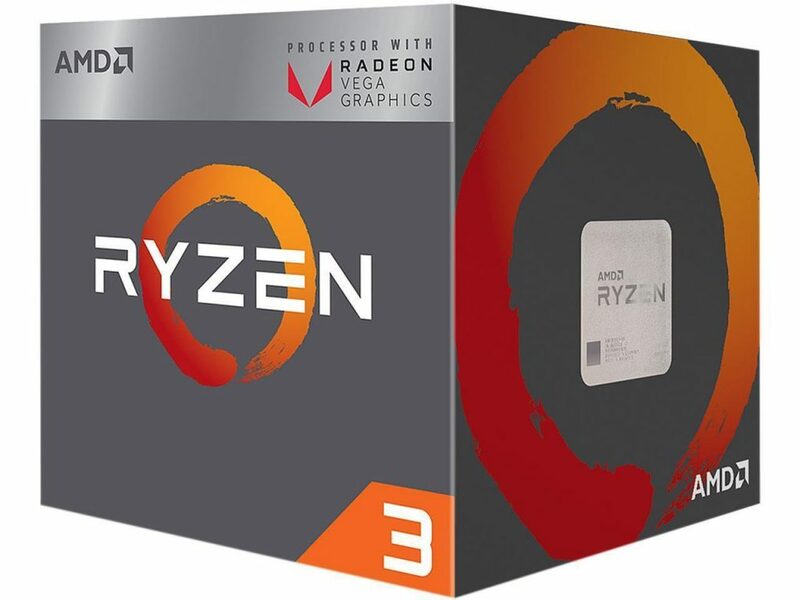 AMD Ryzen 3 2200G – With this processor having graphics built into it, is the additional video card worth it? Does the processor come with a stock fan? 3. I’m looking at Cooler Master Hyper 212 Evo processor fan. Should this fit ok inside the case I’m asking you about. Some of these questions may be common since to you, but I’m just trying to make sense of it all. This build is going to be for my sons birthday present, so I want everything to be right. Hey there Aaron, no problem at all! It’s what I’m here for. 1. You’re referring to this exact case then, right? If so then yes, it’d be 100% compatible with everything listed above. 2. Without a dedicated video card, games won’t run nearly as smooth. The dedicated video card is required in order to run today’s more demanding titles. 3. That CPU cooler should work with the case you mentioned but I think you’d need a separate adapter for it to work with the above motherboard. I don’t think that cooler will come with the correct adapter.